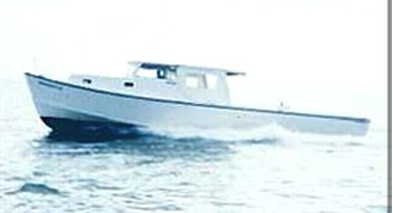 Boat Info: A 43' long Kinnamon Bay Built with a 13' beam. Powered by a 350 Caterpillar diesel turbo charged engine. 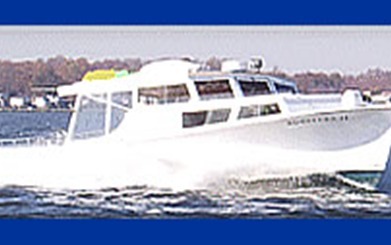 Cruises at a brisk 17 knots and is loaded with all modern and up-to-date safety and electronic fishing equipment. Anglers: Licensed for up to 6 passengers. A "Six Pack"
Boat Info: A 45' long Carman with a 15' beam. Powered by a 450 Cummins engine. Cruises at a swift 15 knots and is loaded with A/C and up-tp-date safety and electronic fishing equipment. 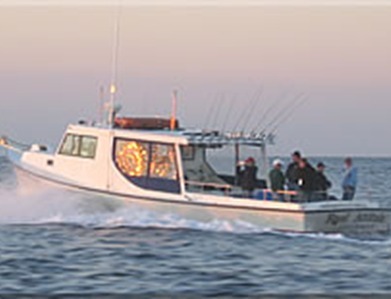 Boat Info: The "Miss Demeanor" is a classic fishing machine. She's 40 foot long and has an exceptionally wide beam for her length. She is powered by twin 653HP Detroit diesel engines. 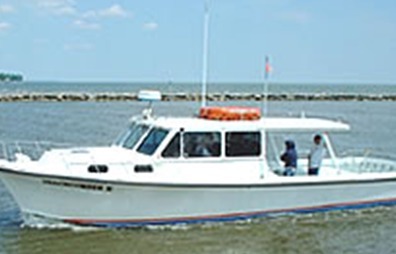 Boat Info: A 42' long, Chesapeake Bay fishing boat. 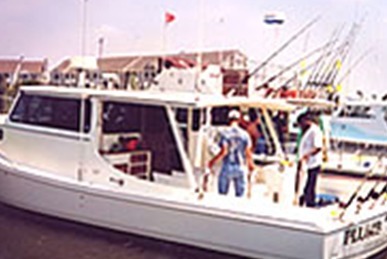 Boat Info: The Plumb Crazy is a 40' fiberglass custom Bay-built fishing machine with heat and air conditioning. 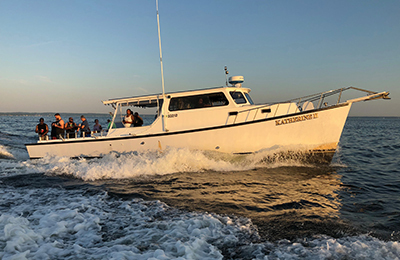 Powered by twin diesels she is loaded with all the latest electronics including radar, chart plotter, depth finder, stereo, and VHF radio. 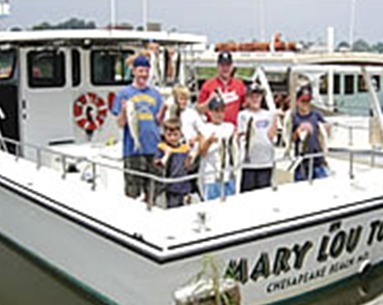 Boat Info: The Mary Lou Too is a 46' long by 14' wide custom built fiberglass boat. Powered by a 600 HP Cummins engine with an environmentally friendly restroom, and is outfitted with modern electronics and all the US Coast Guard required safety equipment. 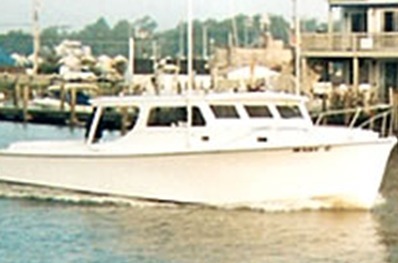 Boat Info: The Roosters 2 is a smooth riding 43' x 13' classic bay built with plenty of room for fishing and lounging. Outfitted with top of the line electronic fishing and safety gear. With an environmentally friendly stand up restroom it is ideal for family fishing trips. 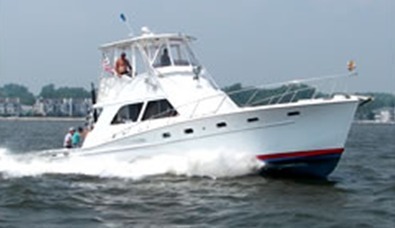 Boat Info: The Beachcomber II is a 46' Custom Fiberglass Bay Built. She packs a 450 HP Cummins Diesel with radar, fish finders, GPS, CB & VHF.